A Close-Up Look At How Local Government Works! 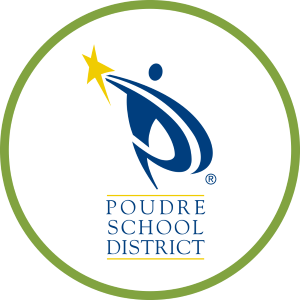 This short-term summer camp and service learning program is designed specifically for high school students in partnership with Poudre School District. Students can learn about how their City works, the many career paths available and ways to be civically engaged. 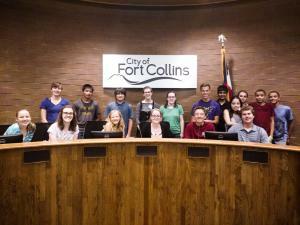 Who makes decisions for Fort Collins? Plans the streets? Designs the parks? Makes the water so delicious? The answer is we all have a role in these decisions and it’s time to learn about yours. Explore service learning opportunities such as natural area maintenance, editing, ordinance analysis, city planning research and more. Engage in interactive presentations and exercises with experts from a variety of City departments. Receive advice and insight into career paths in local government. When: Monday, June 10 through Thursday, June 13 | 9 a.m. to 3 p.m.
Where: All over your city! Eligibility: The program is open to all students, freshmen through juniors, within the Fort Collins growth management area. A detailed itinerary including logistical information will be posted here in late-May. All students will also be sent a detailed informational email around that same time. Apply today! Applications will be accepted until Wednesday, May 15 or until spots are filled. If you miss the application deadline please email Kelly Kappel at a2thcHBlbEBwc2RzY2hvb2xzLm9yZw== to see if there are still available spots. Do you attend a homeschool, charter school, etc.? This program is open to all students, grades freshmen through juniors, in the Fort Collins growth management areas. For liability and other tracking purposes, students outside of the public PSD schools need to apply through a separate application. Charter, Homeschool, etc. Apply Here!